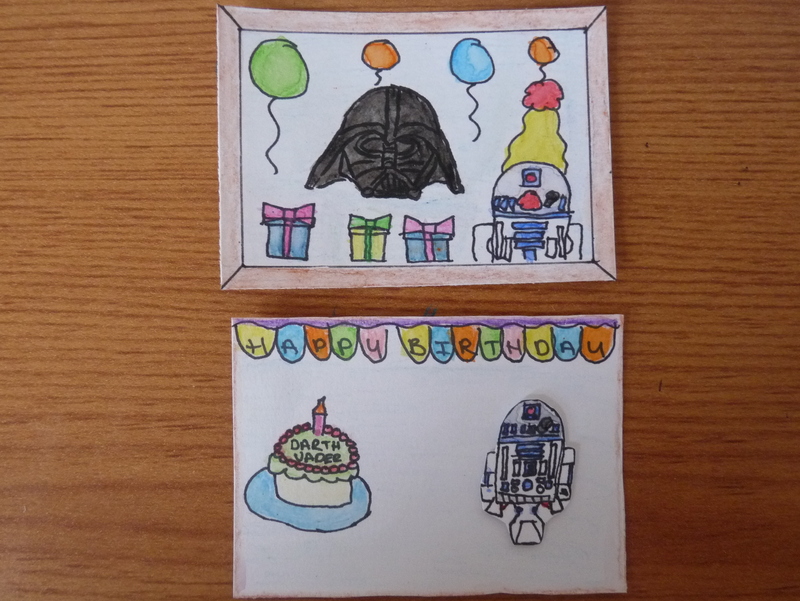 … was my first ACEO swap! For those who are going what?! ACEO stands for Art, Cards, Editions and Originals. Basically mini works of art approx 2.5 x 3.5 inches in size and can be on any medium. I dithered… and finally signed up for Pixiecorpse’s swap with the theme of Star Wars the Clown Wars. 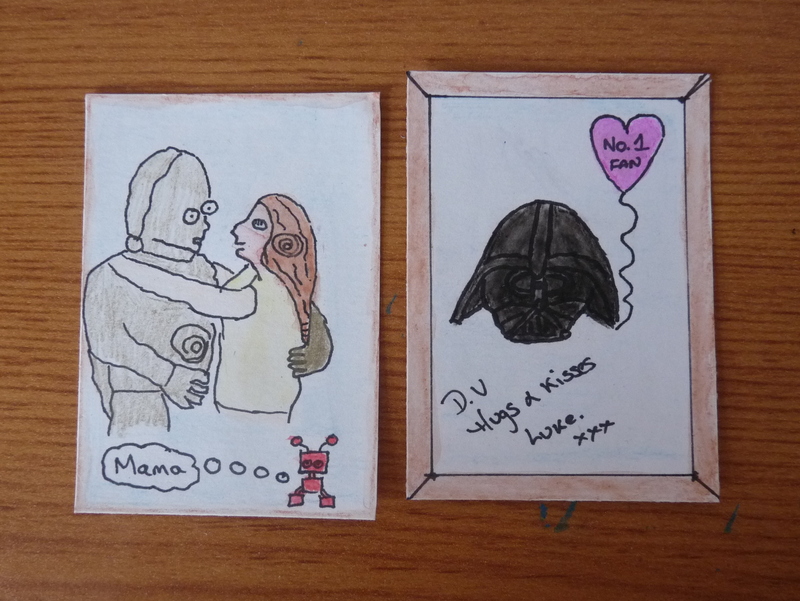 Not known for my drawing skills… it was tough coming up with some themes but I don’t think I’ve done too bad…. what do you think?